Or should I say purples! Purple food has been a bit of a theme this week. I made some blueberry mini muffins on Sunday for snacks this week–only I tripled the amount of blueberries the recipe called for–1/3 cup was not enough! 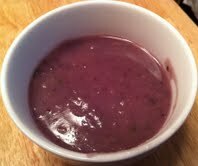 Then, last night, I made the Peruvian Purple Potato Soup recipe from Appetite for Reduction–and it did come out purple! I substituted half a can of chopped green chilies for the jalapenos and parsley for the cilantro. If you can get past the color, it is really tasty. I tossed in some baby kale when I had mine, which added a nice contrast! Since my daughter just finished a project on Francisco Pizarro, who conquered Peru for Spain way back when, she wanted to rename the soup Pizarro’s Peruvian Purple Potato Soup, which make it an alliterative mouthful. But if that gets her to eat it….. Since the muffins are pretty much the same recipe I have used for the other muffins I have been making, I am guessing they will be 3 points each as well. The soup, based on six servings, comes in at 3-4 points per serving–WW’s recipe builder said 3, using the nutritional info in the book said 4. Well, I am officially blaming the presidential inauguration, and my daughter’s party in honor of it, for my weight gain two weeks about. Last week I was back on my plan, and I not only lost what I put on, but another pound as well. Yippee! However, I don’t know what this week will bring, what with some relaxing of the dining rules because of the Super Bowl. But I know that, whatever happens, as long as I rededicate myself going forward, I should be OK.
Actually, we didn’t go too overboard with football inspired snacking. I did make some chocolate ice cream on Saturday, and that has been the biggest culprit. But I had a week of lunches to prepare for, so it couldn’t be all treats! Still working through Appetite for Reduction, I went back to the Masala Tofu recipe since that was such a hit. We were out of bottled pasta sauce, so I tried the recipe for Mom’s Marinara. It was easy since it called for canned tomatoes, and it came out quite good. Since I imagine canned tomatoes are less expensive than bottled sauce, that will also help my grocery budget! 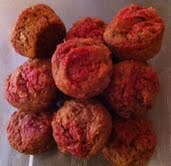 I also made the Black Eyed Pea and Tempeh Beanballs, and they were also delicious. I would just leave them in the oven a bit longer next time, and I would like them a little browner. At the end of last week, I made a box of Lundberg Farms Roasted Brown Rice Couscous, so that has been the starch this week. 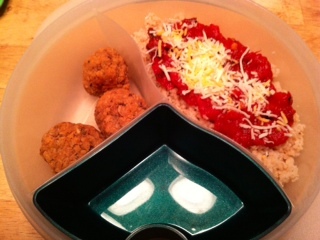 I made a microwaveable dish for my husband yesterday with the beanballs, marinara, and couscous. He still eats limited dairy, so I sprinkled some cheese on top. He has lost over six pounds so far with our revised eating plan! The rice couscous is quite good, you just need to follow the directions exactly. For those interested in the Weight Watchers points, the couscous has 5 per cup, and, according to the nutritional data included with the recipe, three beanballs are 4 points. The recipe is supposed to make 20, so that is what it is based on. Another Busy Day in the Kitchen! I hit the cookbooks again this weekend and planned some tasty options for the week. First off, I went back to Vegan Lunch Box Around the World for my daughter. She has wanted me to make Omega-3 Protein Bars, but I didn’t have rice protein powder. I finally got a packet–didn’t want to invest in a whole can for one recipe–and was able to make it. The packet didn’t have enough, so I used rice flour to make up the difference. 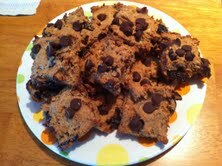 I also substituted dried cranberries for the raisins and sprinkled some chocolate chips on top. Last tweak was to cut them into 16 instead of 8–that seemed a better size. For my other recipes I stuck with Appetite for Reduction. I went back to the Basic Baked Tofu recipe, halving the marinade right off the bat this time. I also added about a teaspoon of Dijon mustard. It came out much better this go around. I was also better about spraying the pan with a little oil, which solved the sticking problem I was having. For soup this week, I made Bistro Broccoli Chowder, which also had parsnips and potatoes. I used a bag of frozen broccoli instead of buying fresh since I already had that in the house. It came out quite good and was a hit with everyone. Unfortunately, I didn’t take a picture when we had it yesterday! 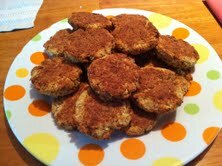 I also made the Baked Falafel recipe in the book. I didn’t have any hot sauce, so I think I should have added a little more liquid to compensate because they were just a little dry. But in a rice tortilla with some salad greens and horseradish mayo, they were quite tasty. For those who would like the Weight Watchers Points, here they are! Well, my streak had to end sooner or later. This week, I not only didn’t lose any weight, I actually put on 1/2 a pound. However, I do think I know why this happened. At least, I have some theories. First, I live in the Northeast, and it has been brutally cold the past few days. As a result of this, and the fact that I keep the thermostat as low as I can stand it, I have been craving things like peanut butter–fat and protein. I think my body has kicked into winter survival mode. Of course, I know that I’m not in danger of freezing to death, but my lizard brain doesn’t. And the lizard brain has been demanding fuel. Unfortunately, I have a jar of Justin’s Chocolate Hazelnut Butter in the closet, and it has been satisfying my cravings. Quite honestly, I am surprised I have only gained 1/2 a pound. But perhaps shivering has helped compensate! I have tried to track my points closely every day, but it tends to fall apart in the afternoon and evening when Lizard Brain wants the Justin’s jar. So I have been exceeding my points. I can only do so much of that before I start to see negative results. Again, I know this, but Lizard Brain can be very insistent. Connected to this is the fact that I haven’t been eating nearly as many greens as I used to. My veggie intake is way down, and that needs to change. Today. When I was working, I would take a salad for lunch every day–a big one. Now that I am not, I am more easily lured by other things. I still try to keep the point values low, but greens are filling, they offer fiber–lots of things I have been missing out on. So, despite the cold, it is salad for lunch today! I will have it with quinoa and a veggie burger, which will add some warmth. On another note, the Indian food I made this week was a huge hit with everyone. All the Dal and the Masala Tofu were gone by lunch Wednesday. Which was kind of disappointing for me because I was counting on having that tofu all week! 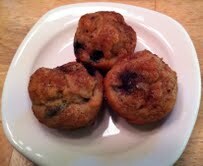 And I have been pretty good about ignoring the Brown Sugar Muffins. Most of them have been going in my daughter’s lunch box! So, time to regroup the dietary troops, find some good recipes for next week, and carry on! While I am not into Five Alarm Chili or those crazy peppers that make you cry and sweat, I do enjoy food with a little kick. Sadly, the rest of my family does not share my flavor preferences, so I do try to scale it back when cooking and just add extra seasonings to my dish. I was feeling global this weekend when I did my cooking. Appetite for Reduction struck again, and I made Quinoa Puttanesca on Sunday. I actually had the sauce with pasta that day and made the quinoa to have during the week. I only had red and black quinoa on hand, so I went with the red. The sauce came out nice and tangy, and, since I am the only one who likes Kalamata olives and capers, it is all for me! I did give a little bit of it to my daughter to try, but she wasn’t a fan. My husband’s dislike of capers is not as strong as his dislike of peanut butter, but one caper accidentally found its way on his plate, and it was still sitting there at the end of the meal! 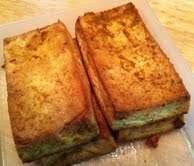 I made the Masala Baked Tofu recipe this week, halving all the marinade ingredients but still using 2 blocks of tofu. Everybody liked that, especially when I paired it with brown rice and Red Lentil and Root Veggie Dal I made yesterday–and the rest of the family took again in their lunch boxes today. Yummy, yummy! The Dal features carrots, parsnips, and turnips. I had some baby turnips in the fridge, so this was a good use for them. For my daughter’s snack this week, I made some mini Naturally Sweet Brown Sugar Muffins from Enjoy Life’s Cupcakes and Sweet Treats for Everyone! She had a couple of friends over yesterday to watch some of the inauguration, so I topped them with red sugar to make them more festive. Keeping them mini helps me portion control! That’s what they say, right? Well, though I am typically an impatient person, I dropped another 1/2 pound this week, so I am inclined to believe them in this instance! I over-indulged in cashews a bit, so I was concerned, but the scale gave me good news! Since the only thing I am doing differently is changing how I eat, that has to be the key. I am certainly not exercising more! I should note that I prefer to judge my weight by how I feel and how my clothes fit, and those are my primary indicators. But cold, hard numbers looking up at you from a scale can be both motivation and reassurance. And I have to check in with Weight Watchers once a month to keep free access to the points calculators, and they check numbers. I am bad at motivating myself–without some sort of deadline or check system, I won’t get anything done–and I need those deadlines pretty much in front of my face. That’s why the due dates for all my repeating bills are on a dry erase board on my desk–nothing would ever get paid otherwise! So the points and the scale help me. Not having food in the house to tempt me also helps. I know my weaknesses and do my best to keep them way beyond arm’s length! Although good fruit is difficult to come by for much of the winter, I do enjoy that it is now citrus season. A couple of years ago, I discovered red grapefruit and became smitten. It is not your mother’s grapefruit! I remember eating white and pink grapefruits as a kid, and they were horrible–or it could be that my palette simply hadn’t matured yet. But I have retried those as an adult, and they are still not my favorite. But the red ones are sweeter and really good–I do sprinkle a little sugar on top of each half. I often grave them–I think it is the blend of bitter and sweet that does something good for the taste buds. I don’t know, but I just had one for breakfast, and it made me happy! Have yet to decide what will be on the menu for next week. It is supposed to be pretty cold here, so another soup is likely to be called for. Time to hit the cookbooks! Had another busy day in the kitchen Sunday. I did decide to make the Arabian Lentil and Rice Soup from Appetite for Reduction. But I was low on vegetable broth, so I made a batch of that first. I used a recipe from Great Gluten-Free Vegan Eats that was very basic. Just carrots, onion, and celery in water. I added a bay leaf, but the recipe didn’t ask for any herbs. The recipe did ask for other veggies I didn’t have, but it did say those were optional, that the three I used were the key ones. Anyway, the soup came out good, but on the bland side. I rarely add salt and pepper when cooking, preferring to let people do their own, but this was seriously plain. 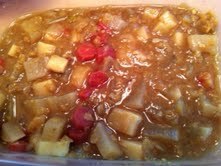 Of course, that may also be the result of the vegetable broth that I made and have nothing at all to do with the soup! When I had some yesterday, I added salt, black pepper, and red pepper flakes. The soup also thickened up a lot after it was done. I have needed to thin it with more broth. It is also a pretty soup. 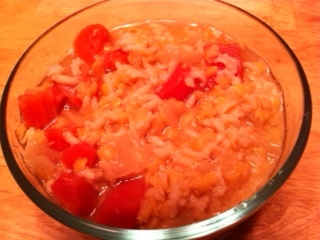 The red lentils cook to a nice yellow color, and I used red carrots, which add nice accents. Not sure if that comes out well in the picture! For those who might be interested in the Weight Watchers numbers, at six servings, what the recipe states, the soup has 5 points. Like last week’s soup, eight servings seemed more reasonable when it came to portion sizes, and that would be 3 points. I made another batch of baked tofu using the rest of the marinade from last week. I stirred in about a teaspoon of Dijon mustard, and that perked it up a bit. We were almost out of peanut butter cookies, so I decided on Banana Wanna Muffins for this week, from Enjoy Life’s Cupcakes and Sweet Treats for Everyone! I made them mini-muffin sized so they would go further, and I know that I can’t eat just half a muffin–or any treat for that matter! This way, I can play some mind games with myself. 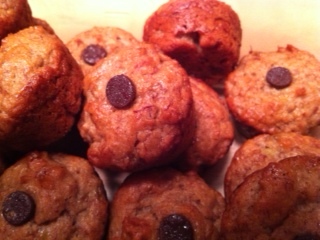 I did add one bit of decadence in the form of a single chocolate chip on the top of each one. They are yummy! So we will see how this week goes!